LAHORE, Pakistan (Morning Star News) – The Pakistan government’s surrender to demands of an Islamic extremist group jeopardizes the last chances for Christian mother Aasiya Noreen (Asia Bibi) to overturn her death sentence for “blasphemy,” sources said. The government’s inability to withstand the violent protests and demands of the upstart, Muslim extremist Tehreek-e-Labbaik Ya Rasool Allah (TLYR) has also further imperiled religious minorities, especially Christians, as it resulted in the state tacitly agreeing to facilitate registration of blasphemy cases and assuring that officials will show no leniency to blasphemy suspects, they said. The protest sit-in by Barelvi Muslims led by firebrand cleric Khadim Hussain Rizvi under the banner of TLYR started at the Faizabad Interchange, the main highway linking the garrison city of Rawalpindi with the federal capital Islamabad, on Nov 5. The TLYR’s two main demands were the resignation of Federal Law Minister Zahid Hamid over a controversial amendment to the elections bill recently passed by the country’s National Assembly, and the execution of Noreen, waiting a Supreme Court appeal of her death sentence. Noreen, commonly known as Asia Bibi, was convicted and sentenced to death by hanging in 2010 after an argument with a Muslim woman over a bowl of water. Although international attorneys note that lower courts did not consider which of three statements attributed to her were “blasphemous” nor prove the intent to blaspheme necessary for conviction, the courts upheld her conviction. Rights activist Shakeel Naz said the state had sacrificed the religious minorities just to perpetuate its rule. “The PML-N [Pakistan Muslim League-Nawaz] government has been humiliated, and the military leadership has further improved its standing with sections of the public for helping end the protests, but at what cost to the country and its people, particularly religious minorities?” Naz told Morning Star News. A menacing precedent has been set by Islamic extremists that will embolden others to take to the streets and do anything they want without impunity, he said. Naz said that by agreeing to TLYR’s demand of inclusion in the text book curriculum-setting committee, the government has conveniently allowed Islamists to push their extremist ideology onto schoolchildren. PML-N Sen. Kamran Michael, a Christian, and other government-backed politicians shied away from Morning Star News’ requests for comment. Napolean Qayyum, a minority leader for the Pakistan People’s Party, minced no words in criticizing the PML-N government and the military leadership for ceding to the protestors’ “illogical” demands. Slamming the government for agreeing to drop over 20 cases of terrorism, violent rioting and murder against TLYR members and releasing them from custody, Qayyum questioned whether the government would also show the same magnanimity to Christians by releasing over 40 people accused of violent riots and lynching of two Muslims in the aftermath of the twin suicide attacks in Youhanabad two years ago. The controversial amendment to the elections bill passed by the National Assembly concerned an oath for Muslim lawmakers declaring their faith in the Khatm-e-Nabuwwat (finality of prophethood) of Muhammad. TLYR members believed a “conspiracy” to change the oath was carried out at the behest of the minority Ahmadi sect to enable them to gain entry to parliament. Pakistani Muslims, in the form of a national identity card or as members of the assembly, have to declare that they are Muslims and believe that Muhammad was the final prophet. The PML-N government initially reversed the amendment and sought to allay the Barelvi clerics’ concerns by blaming “a clerical error” for the omission in the oath, but the TLYR dug in its heels, demanding the law minister’s resignation, the names of those responsible for the “clerical error” be made public and they be punished, and the hanging of Noreen. The report prepared by Raja Zafarul Haq-led committee will be made public within 30 days, and whoever is named in the report for being responsible for the change in the election oath will be acted against under the law. All protestors arrested on Nov. 6 until the end of the sit-in, across the country, will be released within one to three days. The cases registered against them and the house arrests imposed on them will be ended. An inquiry board will be established to probe and decide what action to take against the government and administration officials over the operation conducted by security forces against protestors on Nov. 25. The enquiry should be completed within 30 days, and action will be taken against those found responsible. The federal and provincial governments will determine and compensate the loss of government and private assets incurred from Nov. 6 until the end of the sit-in. The points already agreed to concerning the government of Punjab Province will be fully implemented. The document ends by crediting Army Chief Gen. Qamar Javed Bajwa and his representative team for their “special efforts” that led to the agreement being signed. “We are thankful to him for saving the nation from a big catastrophe,” it concludes. Besides the interior minister, the document bears the signatures of TLYR leader Khadim Rizvi, Interior Secretary Arshad Mirza, two other protest leaders and Director General of the Punjab Rangers, Maj. Gen. Faiz Hameed, who facilitated the agreement. No difficulty will be faced in registering cases under Section 295-C of the Pakistan Penal Code (blasphemy laws). No leniency will be given to those convicted by courts for blasphemy. Noreen will not be allowed to leave Pakistan in any case, and her execution will be promptly carried out. No ban will be imposed on the use of loudspeakers. The foreign and interior ministries will take steps for the release of Dr. Aafia Siddiqui, after taking her mother and sister in confidence. Two representatives of TLYR will be included in the panel assigned to decide changes in the textbook board. The officials will push for inclusion of translation of the Koran and Seeratun Nabi (Life of Muhammad) chapters and information about Muslim leaders. 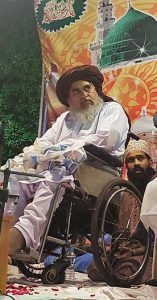 TLYR was formed after the execution of Malik Mumtaz Qadri in February 2016. Qadri, a Barelvi, was a police commando who assassinated Taseer in January 2011 after the Punjab governor called for the release of Noreen, a Christian mother of two and stepmother to three others. An Islamist movement group begun in 2015, TLYR registered as a political party in August and contested a by-election on a National Assembly seat from Lahore that fell vacant after the Supreme Court’s disqualification of Prime Minister Nawaz Sharif in the Panama Papers case on July 28. The constituency is a stronghold of the ruling Sharif family, and even though Sharif’s wife won the seat, TYLR’s Begum Kulsoom Nawaz managed to bag more than 7,000 votes. That was more than the candidate of the liberal Pakistan People’s Party, which has already sacrificed two officials, Taseer and former Minorities Affairs Minister Shahbaz Bhatti, to Islamic terrorism during its term in government. 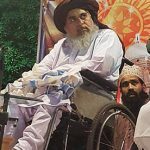 TLYR’s growing influence among the Pakistani masses, particularly its desire for imposing stricter blasphemy laws, enabled it to hold the federal capital hostage for more than two weeks with hardly a few hundred supporters. The PML-N government avoided action against the protest sit-in for 20 days despite orders of the Supreme Court and the Islamabad High Court to clear the area of protestors who “openly challenged the writ of the government by making inciting and abusive speeches,” as it feared the protests would grow into a countrywide movement. On Nov. 25 the Islamabad administration finally launched an operation against TLYR protestors on court orders, but without proper planning and motivation. The botched operation met with fierce resistance from the protestors, resulting in the deaths of at least six protestors and serious injuries to more than 200 people, many of them law enforcement personnel. At least 150 demonstrators were taken into custody during the riots in Islamabad, which also saw a large number of police and private vehicles torched and property vandalized by frenzied mobs. The operation’s failure resulted in mass protests in several cities by Islamist groups hoping to take the opportunity to regain their grip on the state by street power. A few hundred Muslim extremists locked down major cities, including Lahore, Peshawar, Karachi and Quetta, as police and other law enforcement officials looked on in despair. The mobs also attacked residences of several government ministers and lawmakers in Punjab, injuring a PML-N Member of National Assembly Mian Javed Latif in Sheikhupura. Fearing that the widespread protests could result in the collapse of its government, the beleaguered PML-N sought the help of the Pakistan army in maintaining order. Then it was bitterly surprised when Gen. Qamar Javed Bajwa refused to “use force against our own people.” Instead, he “advised” Prime Minister Shahid Khaqan Abbasi to find a peaceful solution to the issue. Without the army’s support, the PML-N quickly succumbed to the protestors’ demands, dealing a devastating blow to the legitimacy and moral standing of the government and all state institutions.